Fundraising campaign receives $41,000 in donations to add to $15,000 set aside by Mountain View Hospital board. 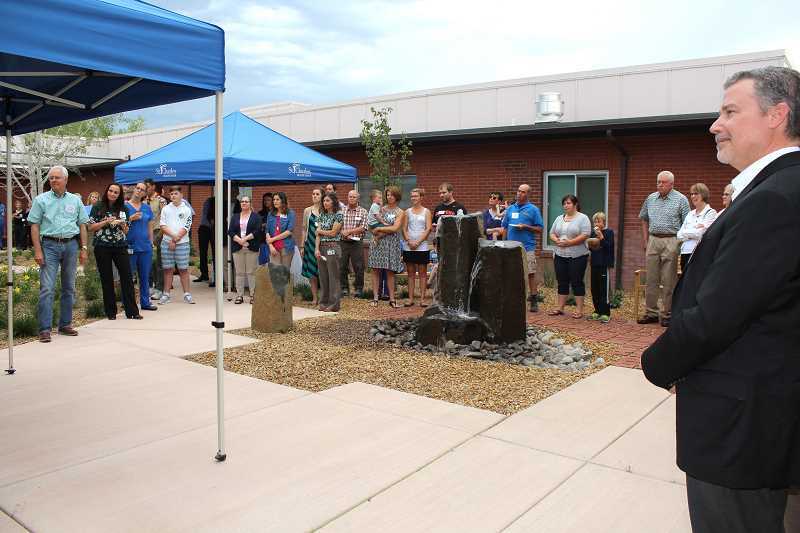 Dozens of people gathered June 20, for the dedication of St. Charles Madras' new healing garden — the final element of the $16 million hospital renovation project. "On day one, this was a really important project attached to the $16 million hospital renovation," said Mack Gardner, of Madras, St. Charles Health System board member, pointing out that the community stepped up in a major way to fund the project. Jeff Cool, of Bend, who is in charge of philanthropy for St. Charles Health System, said that the campaign to fund the healing garden started in November, with construction getting underway in April. 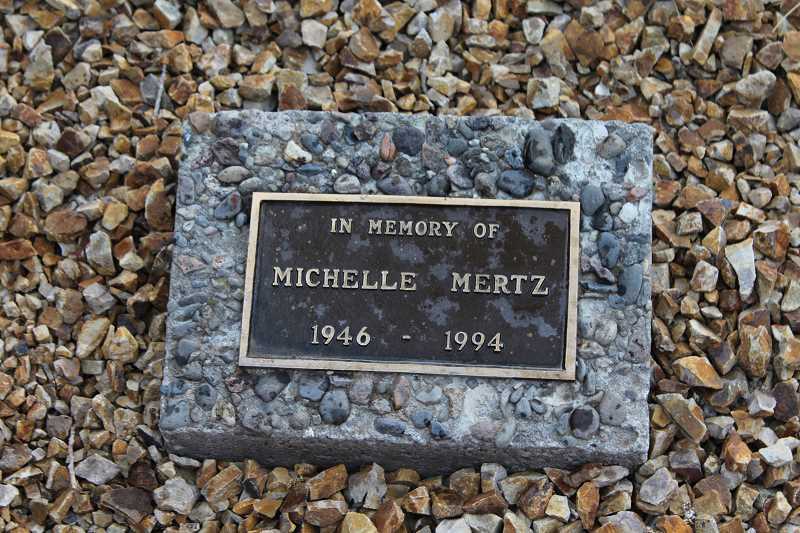 At the time of the dedication, Cool said, they had received $41,000 in donations, in addition to the $15,000 set aside by Mountain View Hospital before its board dissolved, but after it was acquired by St. Charles. 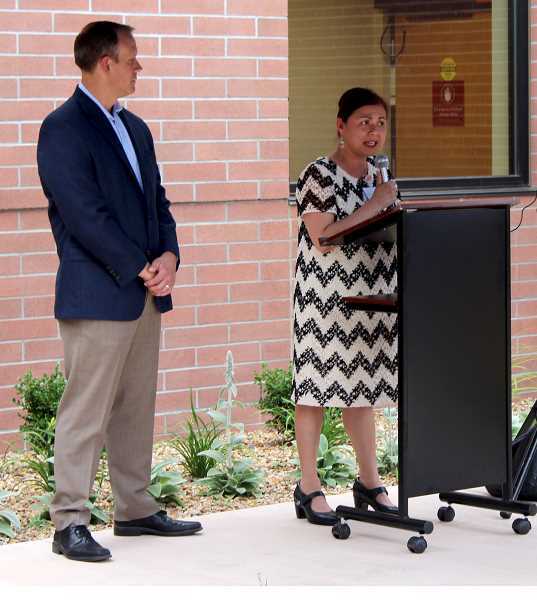 "It is our purpose to provide a sanctuary of healing and wellness for our patients, caregivers and our community," said Candy Canga, of Metolius, the chief nursing officer for St. Charles Madras. "The caregivers have been wanting this and finally, the healing garden is like a dream come true for them," she said. "Every day, we are involved complex family dynamics and health issues; now they have a place to remove themselves from the situation to pause for reflection, compose themselves and go back to providing care for their patients." Other speakers included Joe Sluka, president and CEO of St. Charles Health System, David Golda, senior director of operations for St. Charles Madras and Prineville, and Pastor Nancy Slabaugh-Hart, of the Madras United Methodist Church. The contractor put in irrigation and poured the walkway last fall, and the landscaping was completed in May, according to Cool. "The beauty of this place is we can keep adding to this 'sanctuary of healing,'" he said.